If you’ve got a 3D HDTV and Time Warner Cable you can find a bunch of new 3D titles to watch free-of-charge. For TWC customers in the Northeast, take a look in the HD Showcase On Demand library to find 3D content such as Mummies: Secrets of the Pharaohs, African Adventure, and Siegfried and Roy. “We are very excited to expand our free 3D programming, giving customers the opportunity to experience movies on another level,” said Terence Rafferty, Time Warner Cable Regional Vice President of Operations, Upstate NY. 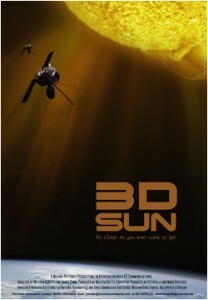 For more details on the 3D titles visit www.twondemand.com. Do your customers on the northwest side of San Antonio also have free 3D channels. Do the customers on the northwest side of San Antonio also have free 3D channels. Do your customers in the Northwest side of San Antonio have free 3D channels as well. Pingback: Time Warner Cable offers free viewing of 3D titles – HD-Report by Dish USA T.V.